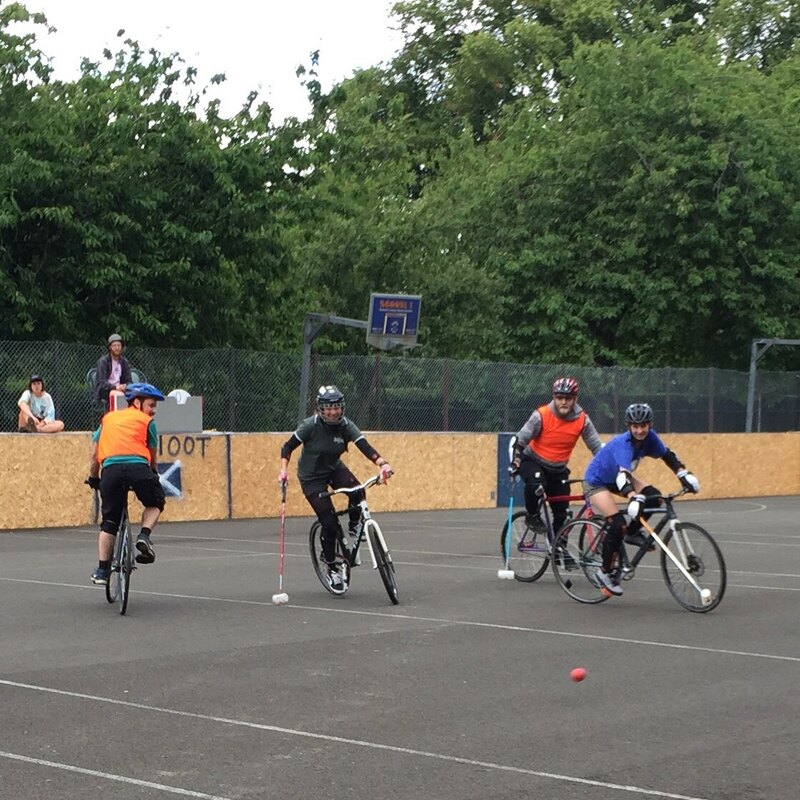 Bicycle Polo in Victoria Park this evening! Aaron, I knew someone who played but had never seen it before. Looks as if it would be quite tricky.